CHS54.NET: "A Span of Stone"
Being a card carrying member of the NEVER THROW ANYTHING AWAY Club, I harbor the thought that one of these days my slothfulness will finally pay off...BIG! For example, just the other day I came across a piece of sheet music that was given to me sometime ago that I barely remember receiving. It would not surprise me to discover that it is the only sheet music copy still in existence! Imagine my excitement when I noticed that it was also autographed by the author! I immediately began thinking of buying a new suit for my appearance on Antiques Road Show and how I should react when they announce at the end how much money it's worth. I decided that I would “stay cool” and act like 40 or 50 thousand dollars was no big deal for someone as sophisticated as me. ED... Hello Mark, I have something for the show that will amaze your viewers. 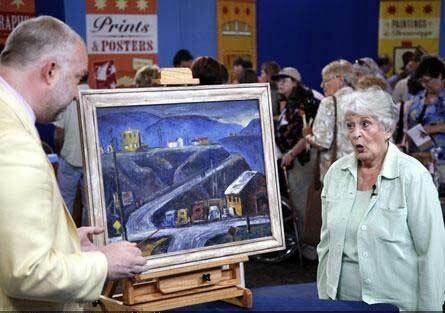 ED...“Well, 225,000 cars run over it every day. MARK...Good grief, it must be in terrible shape. ED...Actually, it's a SONG about a bridge. 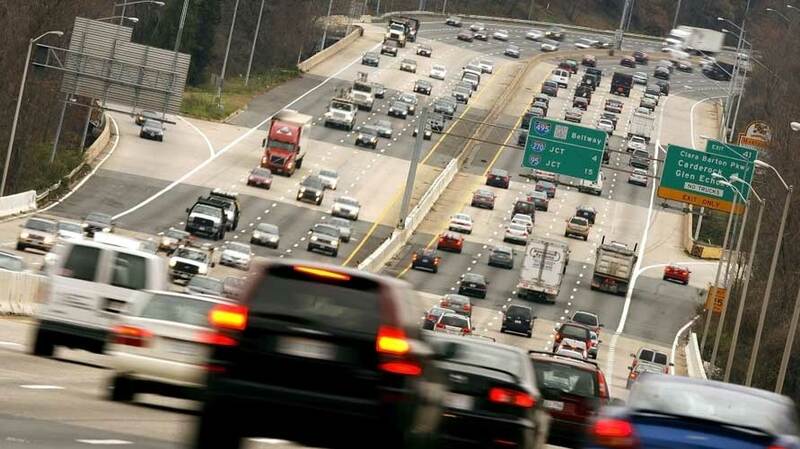 A bridge that is part of Washington's Beltway that goes from Virginia to Cabin John Maryland. MARK...Makes sense to me, but what do I know, I'm just a TV show host? ED...I'm glad you asked. When the structure was built in 1962 it was named the Cabin John Bridge. In fact, it replaced an old bridge by the same name at almost the exact spot. But in 1969 someone in the government discovered that there was another bridge by that name in nearby Maryland. 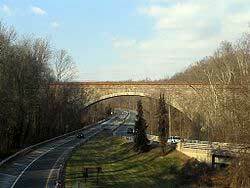 Actually though, its name was really the Union Arch Bridge, but everyone in Cabin John, Maryland called it the Cabin John Bridge because it crossed the Cabin John creek. 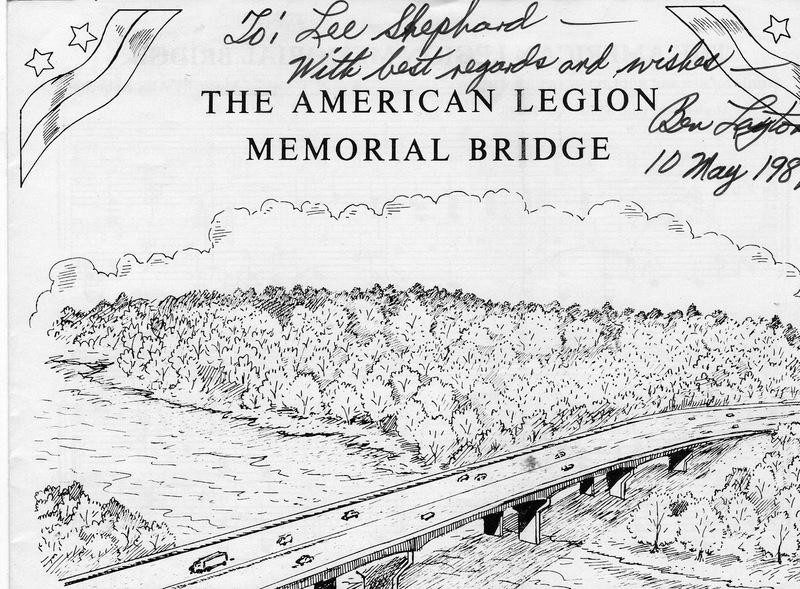 And, come Hell or High Water, the rest of the population of Virginia and Maryland would be required to call the beltway's Cabin John Bridge, by its new name, THE AMERICAN LEGION MEMORIAL BRIDGE. The government found that was easier said than done. At first they tried issuing some kind of decree (a favorite word of the ruling class). But the people kept on calling it the CABIN JOHN BRIDGE. So, the next tactic they tried was to commission a song about the bridge that they hoped would be played on all the radio stations in Washington and become so popular that the entire city would be humming along and promoting the new name. And that explains the reason I called. Your viewers will be astounded to know that I have probably the only existing sheet music copy remaining of that song. ED...Not exactly. As far as I know, no radio station ever played the song, because, try as they might, I don't believe they could get anyone to record it. ED...They wrote letters to all the radio stations in Washington kindly requesting they have their traffic reporters not call it the Cabin John Bridge anymore and subtly included a few buzz letters and words like...FCC and license renewal...and stuff like that. 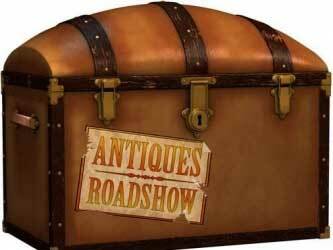 MARK...And you want to be on ANTIQUES ROADSHOW with this crap? ED...This is Lee Shephard. Well, that's what they call me in Washington, but in Charlotte, North Carolina they call me by my official name, Ed Myers. “What time should I be at the studio? We must have been disconnected. Damm, I hate it when I try to explain what politicians and bureaucrats do...and I'm the one who winds up sounding like a lunatic!